Join the City’s Recreation Department at the parklet in front of As You Wish Frozen Yogurt for an all-ages and all-abilities Bike About Town – we will cruise around town as a group from 7-7:30 while emphasizing bicycle safety. Then we’ll meet back at the corner of Cornell & Solano Avenue for a “Bike-in Movie”. 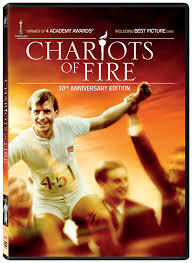 We will be showing ‘­­­­Chariots of Fire,’ a film sure to spark you to get out and run! Ride your bike on down – there will plenty of space to park your bike in a protected area. The popcorn is free and will be flowing freely! This film is PG. Bring a blanket and a lawn chair. Special thanks to As You Wish Frozen Yogurt for sponsoring this bike-tacular event. In case of inclement weather, check the Albany Rec Department’s Facebook page for event status updates.